The Navy finally has a suspect for the murder of Seaman August Provost. Provost's family has stated that they believe August was killed because he was gay. He had shared his concerns with his family that he had a fear that he would be outed to the military. Now Petty Officer Jonathan Campos is being held for the fatal shooting that took Provost's life. He is being charged with murder, arson, unlawful entry, and unlawful possession of a firearm. 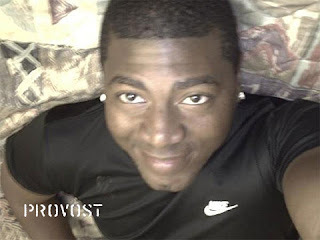 In spite of the accusations of the family, the Navy is insisting that Provost was not killed because he was gay.